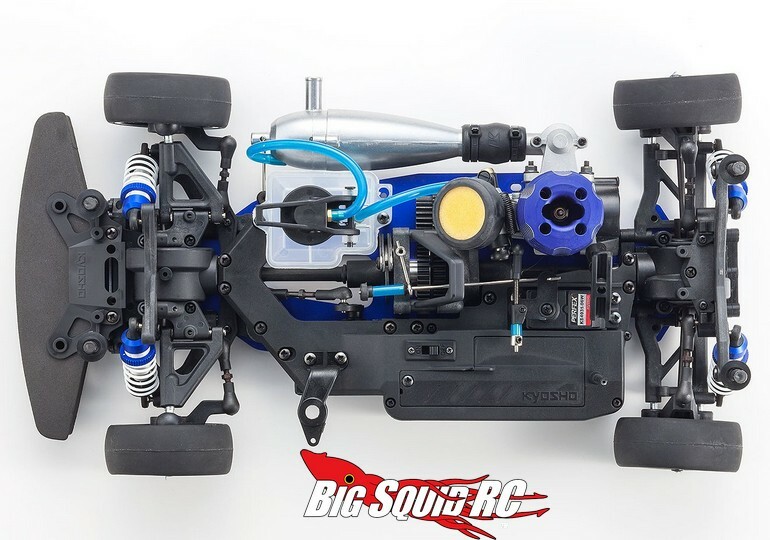 3 New 1/10 Nitro On-Roaders From Kyosho « Big Squid RC – RC Car and Truck News, Reviews, Videos, and More! Ever want a hot looking on-road car that comes with the sound, smell, and performance of nitro? If so, Kyosho has just announced not one, not two, but three new on-road nitro burners. Using the 1/10th scale FW-06 nitro platform, all three cars should be a blast to tear up the local cul-de-sac. All three cars are street priced at $319. The Vette has a part number of #33202B, the R8 is #33201B, and the 911 is #33203B. Hit up This Link to check out the official Kyosho America website. Get More Kyosho news on BigSquidRC.